Has a scope and sequence that includes subtraction, writing numbers to 100, introducing word problems and measurement, and dollars and cents. You will find that Math Lessons for a Living Education is a unique approach to learning math. A blend of stories, copy work, oral narration, and hands-on experience brings the concepts to life and invites the child to explore the world around them. 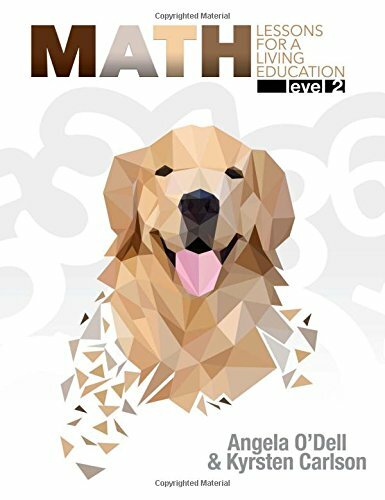 The tone of this math book is meant to speak personally to each child, and the method easily adapted to any teaching style. The first 30 lessons have a story about the twins, taught through hands-on learning. After the story, there are exercises for students to practice the lesson they learned and to review what they have learned earlier. Quizzes or reviews, are in the form of letters to family and friends. Students show what they have learned by writing the letters for the twins!